Magic Ride Reynolds High Grade Steel Frame and Lugged Fork. Authentic CHROME Plated like On Custom Cars Not Paint. Normally $200 UpCharge. The Deal: bikes are available at a special price for limited time. See Pull down menus below. 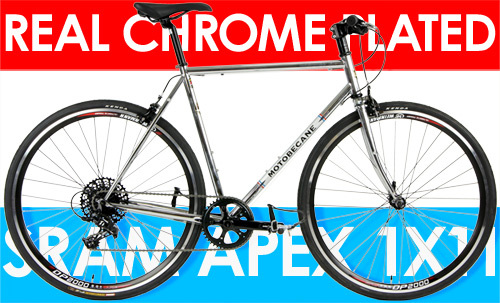 Warning: bikes always sell out fast so order now *Order now to lock in your sale price and selection. Price Rises As Sales Goals are Met. Perfect for the mide to pro level athlete wanting the amazing comfort of a magic riding high grade steel frame, coupled with the precision and comfort of a CrMo fork and dealing with a budget. Get one of the most advanced drivetrain technologies available - SRAM Apex 1x11. The 1x11 drivetrain uses a wide range rear ratio to give you virtually all the gears of a triple drivetrain but is much lighter, far easier to use and a snap to maintain. SRAM Apex is normally seen on bikes costing upwards of $2,000. Compare to Specialized Roll, Trek FX, Surly Straggler, Surly Pacer and Surly Cross Check type bikes at up to $1900 (including local taxes). 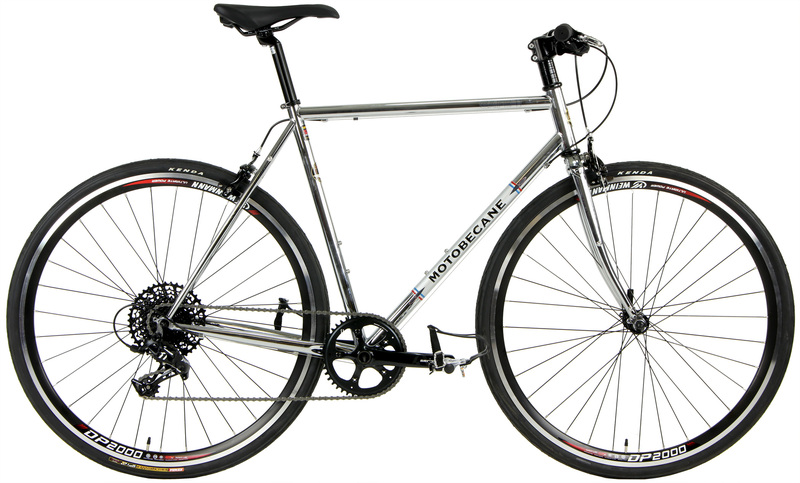 The Cafe 11 series bikes Feature new high performance, super comfortable and highly durable Endurance Design Reynolds High Grade Steel frames. Reynolds High Grade steel = super plush ride. 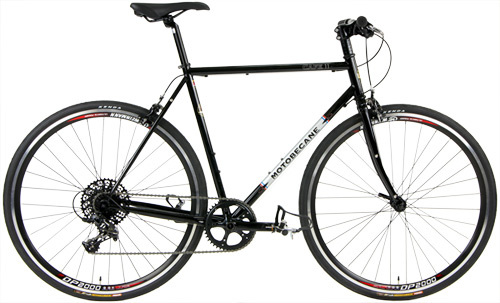 The Endurance design means higher headtubes for a bit more upright and comfortable riding positions.